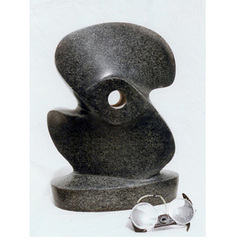 Over a lifetime, Don explored multiple themes in a variety of media and techniques. 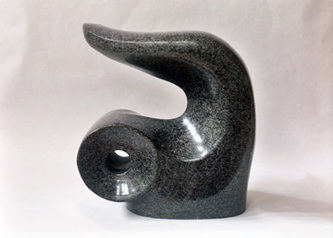 Best known for artworks carved in granite and basalt, he loved to demonstrate sculpting methods, particularly at the first international Schoodic Sculpture symposium where he completed a massive installation piece for the waterfront at Winter Harbor. Don also pursued liturgical themes, culminating in the acquisition of his cast-pewter Stations of the Cross by the Cathedral of St. Luke in Portland. A teacher at heart, Don nurtured many protégés and influenced a generation of Maine sculptors. 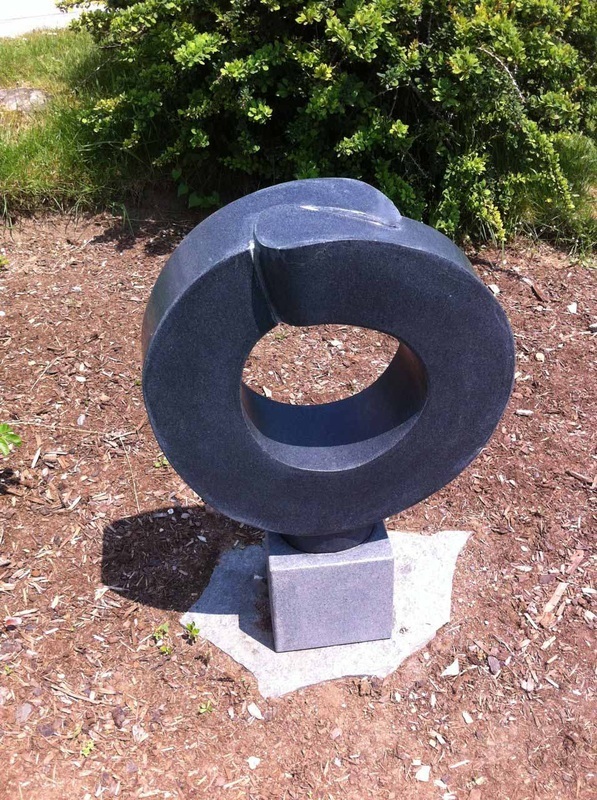 Don Meserve, sculptor of The Cleat, bequeathed 56 stone sculptures to the Schoodic International Sculpture Symposium to be sold to promote art education in Maine. 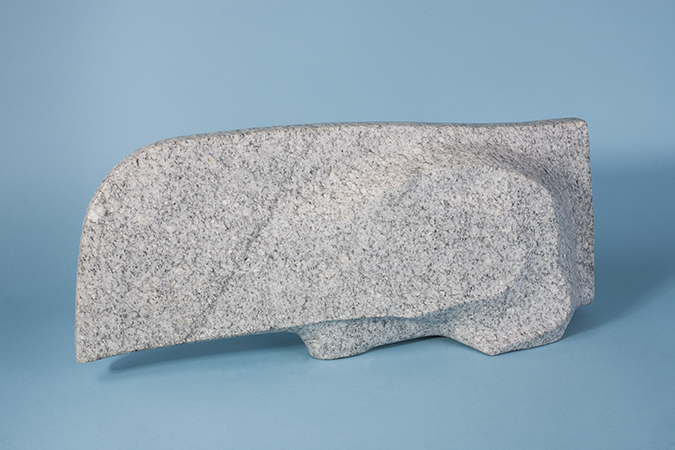 The Littlefield Gallery will administer the sale of the work for the benefit of the Schoodic International Sculpture Symposium, the Maine Stoneworkers Guild education program, and Schoodic Arts for All. 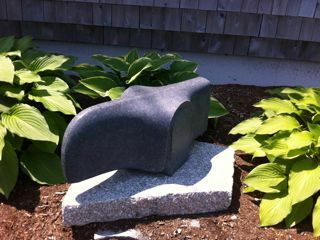 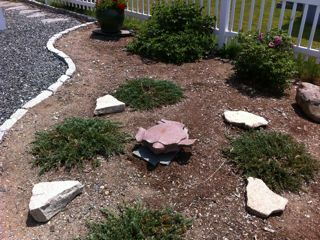 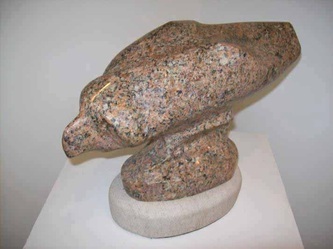 The sculpture may be viewed at the Littlefield Gallery, at Hammond Hall during the Schoodic Arts Festival, and at the Schoodic Arts for All Schoolhouse. 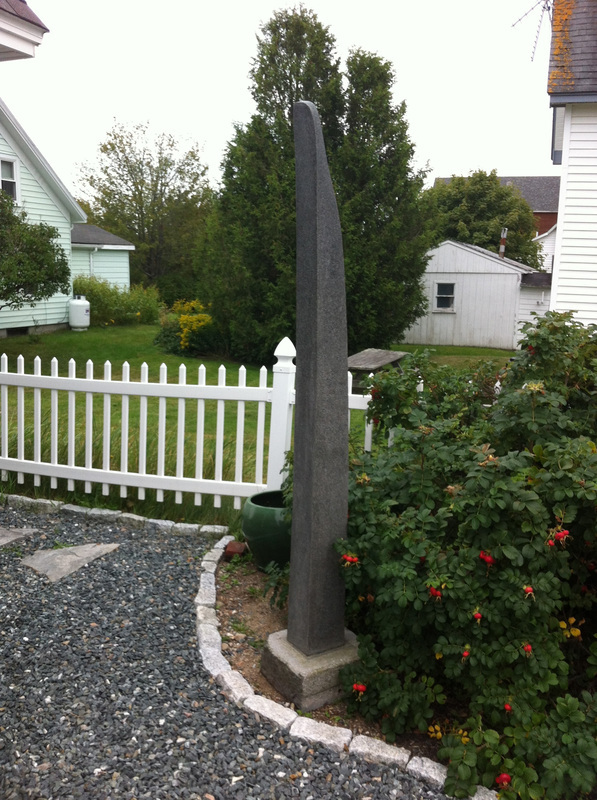 Bowline in its new home! 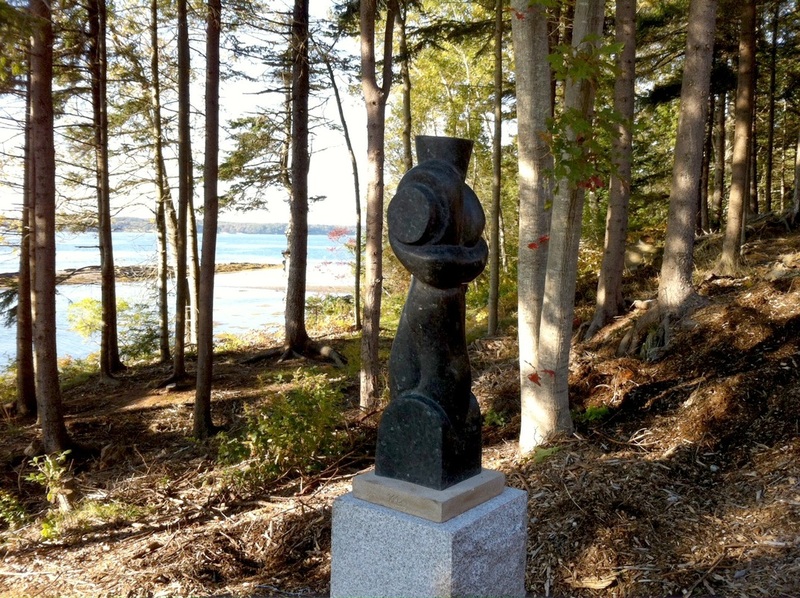 Click on each of these organizations to learn more about how they contribute to art in Maine:Schoodic Arts for All, Schoodic International Sculpture Symposium, and Maine Stoneworkers Guild.